Alec Baldwin got all philosophical about "30 Rock's" incredible three-year run as best comedy on the Primetime Annual Emmy Awards. On Sunday the show lost out to "Modern Family" for the top slot. 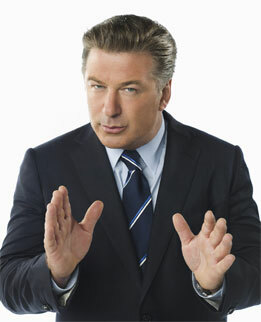 Baldwin also lost out to Jim Parson's from "The Big Bang Theory" for best actor in a comedy series. Baldwin said "Nothing can last forever. We knew that eventually we'd have to watch someone else pick up the Emmy; this is the year it happened. "We've been very lucky, and I can't complain. I'm a big Jim Parsons fan." "I've never watched `Modern Family" he said. Oddly he blames this on the fact that he watches most of his sitcoms on airplanes. "I used to see `Everybody Loves Raymond' on the plane; I've watched every damn episode."